For the second and final part of my Cape Town posts, I'm focusing on what you can do outside of the city. Stellenbosch is a university town surrounded by lots of vineyards and wine estates making it a great place to go for lunch. 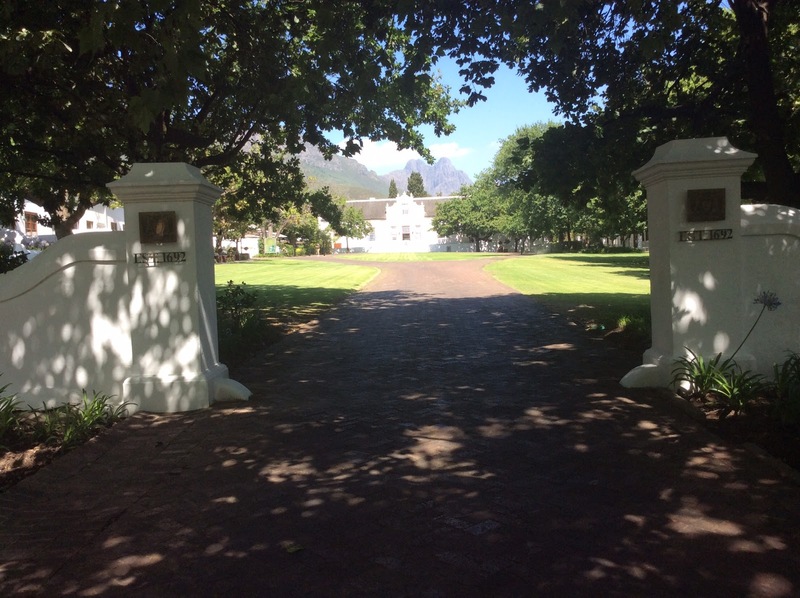 I recommend The Lanzerac Wine Estate which is a beautiful hotel set among the vineyards. We always make time to go for lunch at The Terrace Restaurant as it's excellent and they have a brilliant menu. Make sure you leave room for dessert as their famous Lavender and Honey Cheesecake is worth the visit. Another must try is their Home Baked Scones which are pretty much the best scones I've ever had. The staff are really friendly and our waiter, Basil, was brilliant. I'd love to stay at Lanzerac as it's so peaceful and I think it would be the perfect place to stay if you just want to lounge by the pool and read a good book. Hermanus is the place to go if you want to spend an afternoon whale watching. Whale watching season is between June and November. I recommend visiting The Marine Hermanus, another great hotel, for a spot of afternoon tea. The hotel overlooks the ocean and the last time I was there, I'm pretty sure I saw a whale from where I was sitting. Even if you don't go during whale watching season, the area is beautiful and the views stunning. 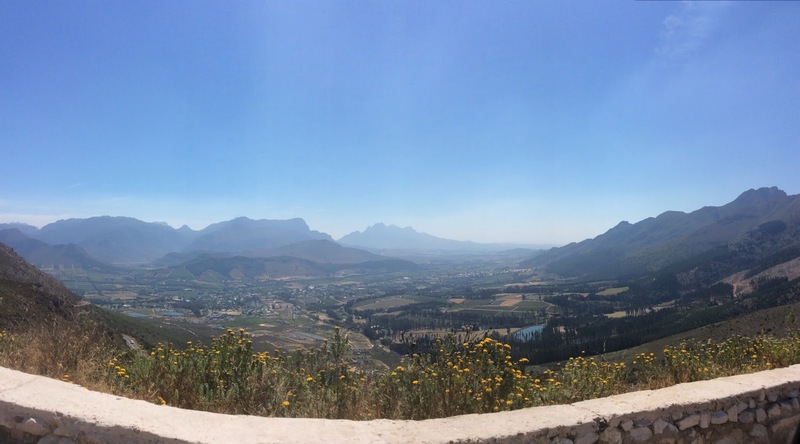 Franschhoek is another small town that's a little less built up than Stellenbosch. We spent a couple of hours just driving around because it's such a charming place. It's full of little cafes and restaurants, ideal for spending an afternoon watching the world go by. There are also plenty of wine estates and many gorgeous hotels and if I'm lucky enough to go back to South Africa, I definitely want to stay there. 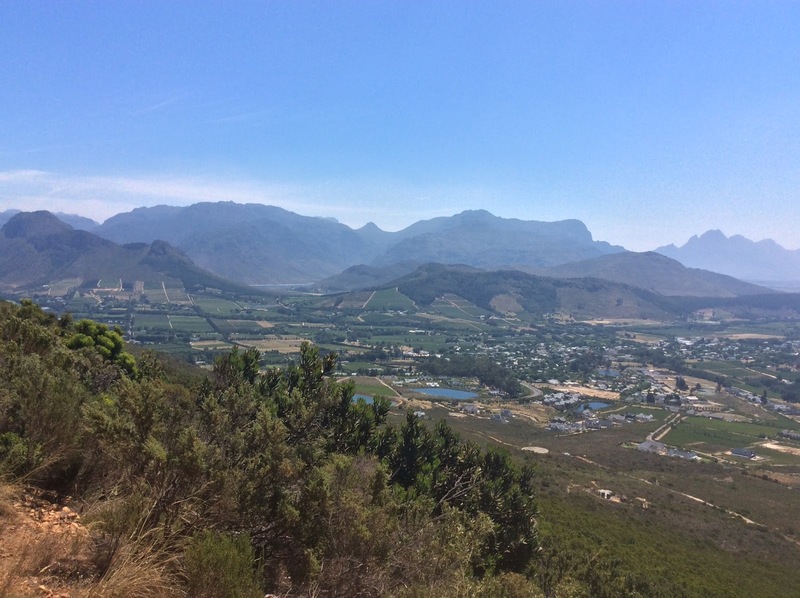 The photos below were taken on one of the drives just outside of Franschhoek. I also recommend Sir Lowry's Pass which is a mountain pass on the N2 road. Not only are the views amazing, but it's a great place to spot baboons. Make sure you keep your car doors locked because baboons are smart enough to try and get in the car. Boulders Beach is also really popular among tourists due to the Boulders Penguin Colony. Cape Town and its surrounding areas are a must see. It holds such a special place in my heart and I'd love to go back. There's so much to do and see that you could never get bored. People often ask me if it's safe and it is. You just have to keep your wits about you like everywhere else in the world. As with other destinations, the hotels always have good security. As I mentioned in part one, a really great website for all things South Africa is Africa and Beyond. They're our go to guys when we're planning a trip. If you want to know more about where to stay in all the different places, then check them out.